New 20,000 ton Crystal Endeavor being built in German yard. Germany’s chancellor Angela Merkel was guest of honour last Tuesday at the keel-laying ceremony at the MV Werften shipyard in Stralsund for the 20,000-ton 200-berth luxury Ice Class expedition ship Crystal Endeavor. According to Seatrade Cruise News, Merkel said it was an emotional day for her as she returned to her political home, Mecklenburg Vorpommern. ”People here in Stralsund will always do their best to create great value … We know how to compete. We are very proud in Mecklenburg Vorpommern and Germany and we want to make the label “Made in MV” an attraction,” she said. Genting Hong Kong chairman and ceo Tan Sri Lim Kok Thay was also in attendance as part of Genting’s plan to revive shipbuilding on the northern shores of Germany. Historically, Germany has built 25% of the world’s cruise ships. Thanks to Genting Hong Kong’s investment, that will now go up to 35% by 2020, said Lim. 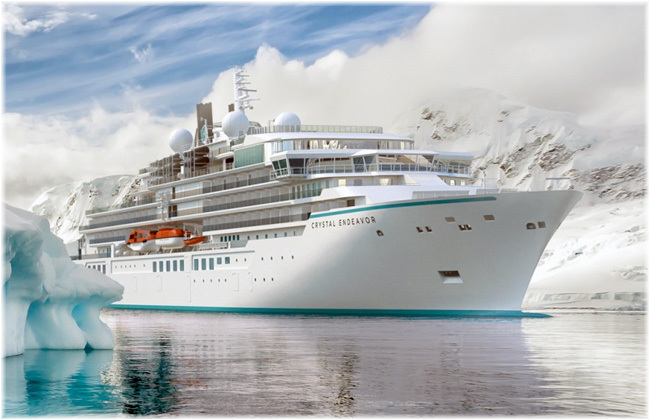 After a spate of European river ship introductions, Crystal Endeavor’s keel-laying shifts the focus back to Crystal’s ocean-going itineraries. 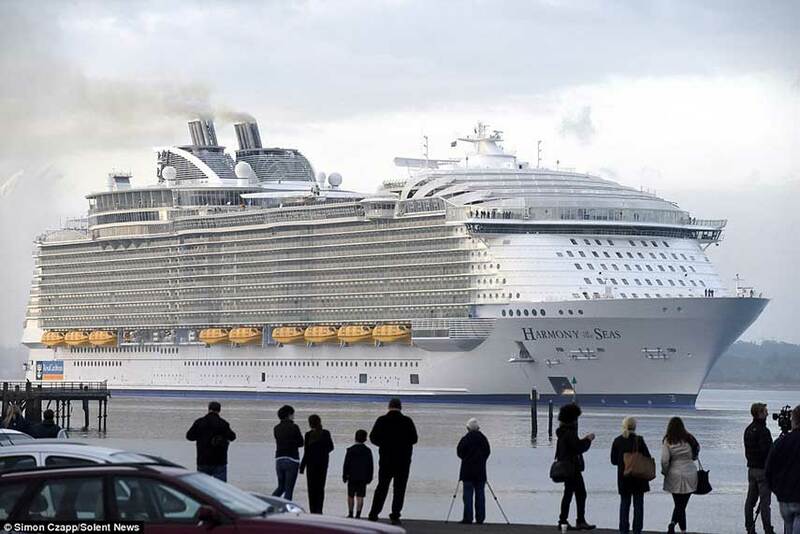 The Crystal Endeavor’s 20,000-ton sister ship is now scheduled for delivery in 2021, a year later than had been planned. And the Crystal Diamond, the line’s first 65,000-tonner, will follow in 2022. Crystal Endeavor is now open for bookings for her first season, running from August 2020 through January 2021. And some 25% of her inaugural Antarctic seasion is already booked. NCL’s new Norwegian Bliss will cruise Alaska this season. (Travel Pulse) Norwegian Cruise Line took delivery of the 168,028-gross-ton Norwegian Bliss from Meyer Werft during a ceremony in Bremerhaven, Germany. The ship will operate a two-day preview cruise before cruising to Southampton, England, to begin its transatlantic journey on April 21. 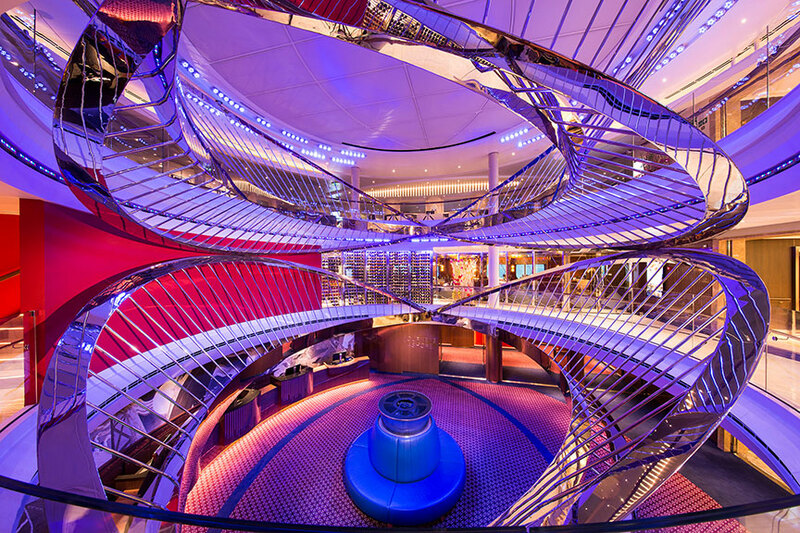 Upon arrival in the U.S. on May 3, NCL will host two-night preview events in New York, Miami, and Los Angeles. The ship will be christened on May 30 in Seattle, from where it will begin a season of seven-day Alaska voyages on June 2. Norwegian Bliss, the third ship in the line’s Breakaway Plus class, includes some new first-at-sea offerings such as the largest competitive racetrack at sea. The two-level, electric-car racetrack sits at the top of Deck 19, offering guests amazing views while twisting and turning at a speed of up to 30 mph. The ship also has an open-air laser tag course and a side-by-side multi-story race waterslide at the expansive Aqua Park. One waterslide extends over the edge of the ship and loops down to the deck below. 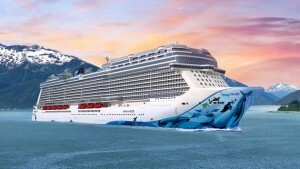 After its Alaska season, Norwegian Bliss will spend the fall cruising to the Mexican Riviera from Los Angeles. In winter 2018, it will sail the Caribbean from Miami, and in the 2019 fall/winter season, she will cruise from New York City to Florida, the Bahamas and Caribbean. HAL revamps retail space on its ships with new supplier partnerships. 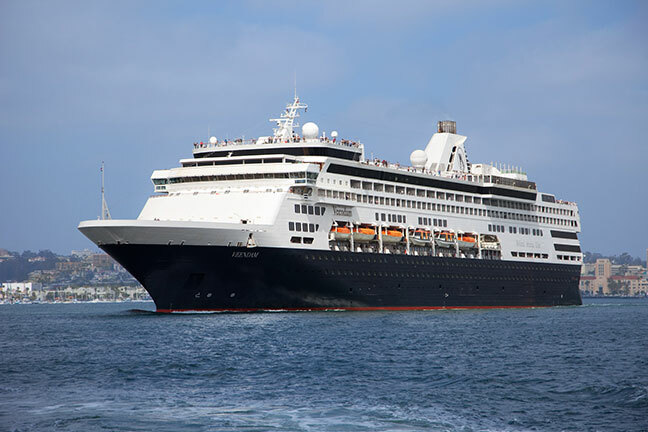 The changes began with Veendam and will expand to half a dozen other ships. Holland America Line is introducing a new retail experience on board its ships to better align with its ongoing brand evolution. The multi-faceted retail plan introduces new products and services, including an expanded logo collection, locally cultivated items, a new Fujifilm photo space and new supplier partnerships. The retail rollout began with Veendam and expands to Maasdam, Nieuw Amsterdam, Oosterdam, Prinsendam, Rotterdam, Westerdam and Zaandam over the coming months. Holland America Line is partnering with Fujifilm for a new, interactive, creative photo space on board that will enable guests to immediately print their photos from their mobile phones or memory cards using instant photo machines. Guests also will be able to share cruise memories by creating keepsake souvenirs featuring images from their cruise on product offerings such as photo books, mugs, shirts, keychains, magnets, mousepads and more. The retail enhancement introduces an expanded Holland America Line logo collection featuring iconic products that will leave guests with lasting memories of their cruise. From custom apparel to locally made artworks, the new items go beyond traditional cruise logo souvenirs. The new shops also will feature co-branded merchandise from some of Holland America Line’s partners including Lincoln Center Stage, B.B. King’s Blues Club, BBC Earth and America’s Test Kitchen. To bring the destinations on board in an authentic way, the new retail program will showcase unique products from local artisans and designers that capture the cultures visited around the world. Holland America Line is looking to make shopping more engaging and meaningful, and interactive and enriching events will be offered so guests can see the different items and peruse the space with guidance from helpful yet unobtrusive shop staff. 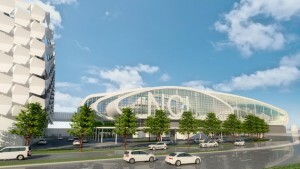 Artist rendering of new NCL terminal in Miami. The project is being designed by Bermello Ajamil & Partners of Miami. Norwegian Cruise Line Holdings Ltd., which operates the Norwegian Cruise Line, Oceania Cruises and Regent Seven Seas Cruises brands, unveiled the design of the new and dedicated Norwegian Cruise Line terminal at PortMiami which has been the company’s home since its launch in 1966. Pending the final approval by the Miami-Dade County Board of County Commissioners, the project will commence in May 2018, and is scheduled for completion by the fall of 2019. “Norwegian has been sailing from Miami for over fifty years, longer than any other cruise line, and we are honored to be partnering with PortMiami and Miami-Dade County to construct an iconic terminal that will contribute to Miami’s world famous skyline and strengthen its position as the Cruise Capital of the World,” said Frank Del Rio, president and chief executive officer of Norwegian Cruise Line Holdings Ltd.
“The construction of a new cruise terminal with the capacity to berth an additional 5,000-passenger cruise ship represents thousands of jobs and increased opportunities for our community. We are grateful for Norwegian Cruise Line’s continued partnership.” said Miami-Dade County Mayor Carlos A. Gimenez. Carnival Victory, upgraded extensively in 2015, is undergoing more upgrades in drydock this winter. MIAMI – Carnival Victory is in the midst of an extensive, multi-million-dollar dry dock that is adding a wide variety of food and beverage innovations, as well as two luxurious Captain’s Suites and new deluxe ocean view staterooms. · Guy’s Burger Joint: a free-of-charge poolside venue developed in partnership with chef and restaurateur Guy Fieri serving hand-crafted burgers and fresh-cut fries enjoyed amidst a décor that celebrates the chef’s California roots and love of car culture. · New Accommodations: Several new cabin categories will be added to Carnival Victory, including 260-square-feet Scenic Ocean View staterooms and 320-square-foot Scenic Grand Ocean View accommodations as well as Captain’s Suites, spacious 820-square-foot cabins offer a large extended balcony, two full-size bathrooms, separate sleeping quarters and a large living room. · RedFrog Rum Bar: a poolside watering hole offering the quintessential Caribbean vacation vibe with refreshing Caribbean rum-based frozen drinks and beers, including Carnival’s own private label draught brew, ThirstyFrog Red. · BlueIguana Cantina: a complimentary poolside Mexican eatery where guests can enjoy authentic freshly made burritos and tacos on homemade tortillas, as well as an elaborate toppings and salsa bar. · BlueIguana Tequila Bar: a fun and festive outdoor bar offering a laid-back Mexican-themed atmosphere and tequila-based frozen drinks and beers, perfect for chillin’ by the pool. · Bonsai Sushi Express: the success of the full-service Bonsai Sushi restaurants has spawned this casual, convenient yet equally tasty offshoot featuring a mouth-watering array of sushi, sashimi, rolls and more. · Re-Branded Deli: the ship’s deli has been completely renovated with an updated design and new menu offerings, including seven sandwiches such as meatball, buffalo chicken, and The Cubano, along with Southwest chicken, falafel and turkey wraps. · Cherry on Top: The “sweetest spot on board,” Cherry on Top is the gateway to the joys of simple indulgences with bins of bulk candy, fun-and-fanciful gifts, just-because novelties, colorful custom apparel and more. These spaces complement Carnival Victory’s numerous other onboard amenities, including a 14,500-square-foot spa, a 214-foot-long water slide, a Punchliner Comedy Club offering adults-only and family-friendly performances, and Seuss at Sea, an exclusive partnership with Dr. Seuss Enterprises. Carnival Victory operates year-round three- and four-day cruises from PortMiami. 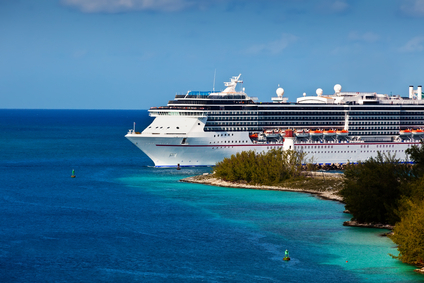 Three-day cruises depart on Fridays and call at Nassau, while four-day voyages depart Mondays and visit Key West and Cozumel or Nassau and the private Bahamian island of Half Moon Cay. A cruisetour with Princess Cruises offers a unique view of Alaska – from a treehouse. Princess Cruises today announced the 2018 programming to be featured at the line’s custom designed wilderness treehouse located at Mt. McKinley Princess Wilderness Lodge. 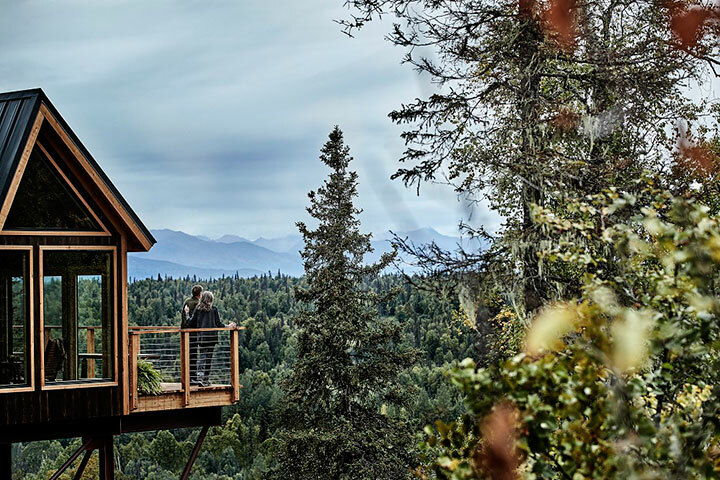 The treehouse is a new addition to the guest experience which allows guests an opportunity to view Denali, North America’s highest peak, while enjoying themed activities and socializing with fellow travelers, all amongst the trees. The treehouse was built during an episode of Animal Planet’s hit show “Treehouse Masters,” in association with the line’s partnership with Discovery Communications, which premiered during the season finale in fall 2017. Caribbean and Mediterranean destinations remain most popular, depending on income bracket. The new Cruise Industry Consumer Outlook, conducted on behalf of Cruise Lines International Association (CLIA), found men and Millennials are more interested in taking a cruise among all travelers surveyed. This is the latest installment in the Cruise Industry Consumer Outlook of 2017, in partnership with J.D. Power, and new findings than six out of ten (63 percent) respondents have an increased interest in cruising – with overwhelming interest among men and Millennials. The report details consumer traveler behaviors, attitudes, and opinions toward both cruise and land-based travel. Who is interested in cruising? When it comes to specific generations interested in cruising, about 85 percent of Millennials expressed that an interest in cruise travel has increased within the last year, while 64 percent of Gen Xers said the same, compared to 40 percent of Baby Boomers citing the same sentiment. Across all generations, the report found that the increased interest in cruising is higher for men (74 percent) than for women (54 percent). Further, more than seven out of ten (71 percent) men named ocean cruises as the type of vacation they are most interested in taking within the next three years. In regards to cruise atmosphere, more than half (62 percent) of both female and male respondents cite casual elegance as their preferred cruise style. Repeat Cruising: The report found 80 percent of past cruisers have an increased interest in taking a cruise, while 50 percent of non-cruisers said the same. 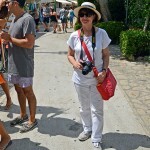 Repeat cruisers are drawn to cruise travel largely due to the value this vacation type offers. Cruising Costs: When compared to both land-packaged tours and all-inclusive trips, more than half (57 percent) of respondents surveyed believe cruising offers a high value, compared to 48 percent saying the same for land-based vacations. When it comes to outside factors impacting leisure travel plans, nearly a quarter (24 percent) of respondents cite job responsibilities as the top factor. Keeping it Close: The report also found travelers are drawn to cruising for a variety of reasons including destinations and convenience. Regarding cruise ports being within driving distance, respondents acknowledged the convenience of driving to the cruise ship (68 percent), the reduced hassle of not having to fly to a port (64 percent), and the cost savings when not needing to fly (57 percent) as the primary benefits of having a lot more cruise embarkation options available in North America. Destinations & Durations: Cruise destinations and durations also positively impacted consumer attitudes toward cruising. When it comes to cruise destinations, more than one-third (36 percent) of travelers prefer the Caribbean region, while a quarter (27 percent) chose the Mediterranean. The Caribbean is more favored by people in the lower income brackets while interest in the Mediterranean is higher for higher-income brackets. Seven-day cruises are also the most popular among those surveyed (33 percent) when compared to other cruise durations. Oceans of Interest: According to the new research, respondents are showing an increased interest in ocean cruising when compared to reports earlier in the year. Currently, 34 percent of respondents interested in cruising will definitely be taking an ocean cruise compared to 23 percent reported in January. The inforgraphic is available here. The stunning Atrium sculpture titled “Harps”. The $600,000 piece is an impressive 7.5-ton stainless steel sculpture that spans three decks. One of the most notable features of any Holland America Line ship is the remarkable collection of museum-quality art on board. The line’s newest vessel, ms Koningsdam is no exception. With a collection worth $4.1 million, the ship highlights the talents of leading hospitality designer Adam D. Tihany, working with art curator ArtLink, and YSA Design to procure a thought-provoking collection of diverse works that complements the ship’s design while stimulating conversation. The result is a floating art gallery with 1,920 pieces ranging in value from $500 to $600,000 that spans the decks, public rooms and staterooms. More than 21 nationalities are represented by Koningsdam’s artists, with the greatest number of contributors coming from the Netherlands, the United States and the United Kingdom. Koningsdam features artworks in many media, including photography, painting, mixed media, illustration, prints and sculpture. Ranging from classic to whimsical, a variety of two-dimensional, mixed-media pieces using materials including paint-injected bubble wrap, computer disks on wood, toy cars cast in resin, aluminum wire, cast paper, bamboo and more are scattered throughout the ship. Many of the pieces change appearance depending on the viewer’s vantage point, inviting guests to take time to ponder and discuss the works of art. Additional pieces that carry an impressive price tag include Jason Krugman’s multideck “Quad Helix” light sculpture located in the Queen’s Lounge that cost $174,750; the custom-designed Swarovski crystal globe made by Dutch design group Studio Job valued at $100,000 located on Deck 3, mid-ship stair lobby; and the $54,000 “Rabbit” by Berg and Meyers nestled in The Retreat, which has turned into one of the most talked about pieces on board. 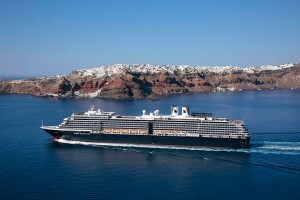 The 82,000 ton Westerdam has been upgraded to handle 1964 passengers on Med cruises. 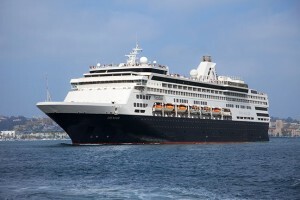 When Holland America Line’s ms Westerdam emerged from a 12-day dry dock at Fincantieri’s shipyard in Palermo, Italy, in late April, the ship debuted major renovations that added many new public spaces and amenities, including two firsts for the fleet: Explorations Central, or EXC, in the Crow’s Nest and Rijksmuseum at Sea. 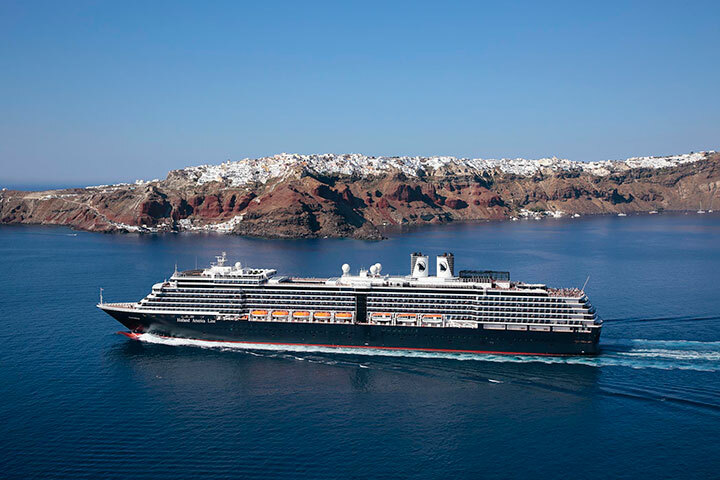 Westerdam also received the popular Music Walk venues Lincoln Center Stage and Billboard Onboard, the intimate Gallery Bar, a reimagined Lido Market and The Retreat area with private cabanas. Newly released photos show the renovations, along with additional upgrades and modifications including suite upgrades, enhancements to the Greenhouse Spa and Salon, renovations to youth areas Club HAL and The Loft, and the new Holland America Line logo on the funnels. Deck 10 saw the addition of 25 guest staterooms, including 18 verandah and seven interior staterooms, increasing the capacity of the ship to 1,964 guests. Holland America Line’s partnership with Rijksmuseum — the Museum of the Netherlands in Amsterdam — celebrates the company’s Dutch heritage. With Rijksmuseum at Sea on Westerdam, reproductions of some of the museum’s most famous masterpieces are showcased at a dedicated space located on Deck One of the Atrium. Guests also can view videos about the museum and its collections on the in-stateroom television. To further complete Westerdam’s transformation, 25 new staterooms were added near the top of the ship on Deck 10. The 18 verandah and seven interior staterooms increase the ship’s capacity to 1,964 guests. Additionally, the suites on board received the fleetwide suite upgrades. The main living area was refreshed with a new headboard, new carpet, wall coverings, a privacy curtain, drapery, bed runner and bed skirt. New quartz-stone surfaces were added to the desk, dresser, nightstands and makeup vanity which, along with new vanity lighting, enhance the cosmetic transformation. Electronic upgrades include a new USB outlet added to the bed’s headboard, bedside LED lights, upgraded electrical outlets and a lighted closet rod. Suite bathrooms also were upgraded, including a wall of designer glass tile, new vanity area, stylish floor tiles and a nightlight. A new interactive television system was installed throughout the ship, featuring large LED flat-screen TVs with complimentary movies and popular TV shows on demand as well as easy access to the daily program and shipboard information including restaurant overviews, spa services and guest billing. Outside on Deck 11, The Retreat was relocated from Deck 10, providing a quiet lounging area and 15 private cabanas available for rental that offer a relaxing oasis on deck. Various other public spaces around the ship received new soft furnishings including carpets, drapery, chairs and sofas, while additional outside enhancements include new pool deck loungers and teak decking.